Good afternoon, or whatever time it is for you! As the days go on, my Whole45 is getting better and better. I’m feeling great and starting to get into the swing of things! I also have not really had any cravings in the last week, even if I see something that looks good. It’s amazing how what you eat can affect that. Additionally, I have needed less snacks between meals. It feels great to be held over from one meal to the next, and even if I get hungry, I don’t need food RIGHT NOW. If I get hungry, I still have the energy and sustenance to carry me until I eat without feeling badly or fatigued. Although, I did need some snacks this week due to odd schedules/more time between meals some days. Yesterday, I went to a farmers’ market, and while I was walking around the blissful scent of strawberries wafted over to me. It smelled so good I had to go over to the stand that had them, and I had to buy some. I’m glad I did because they are really good! They had been picked that morning at 5am– that kind of freshness is one reason to love farmers’ markets! 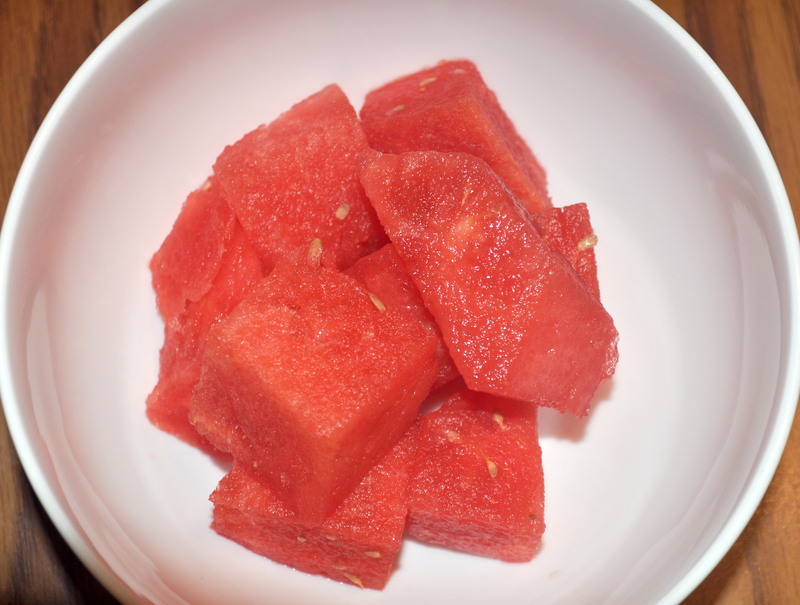 Here is this post’s “What I Ate!” I left off on Day 5 Lunch. 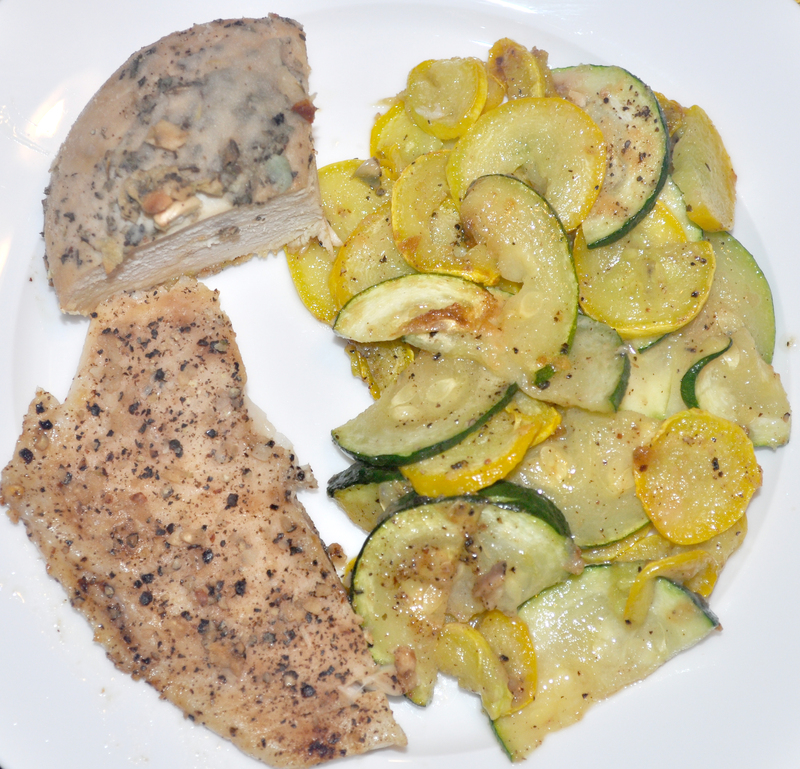 Dinner: Leftover lemon pepper tilapia & Italian chicken; garlic zucchini and yellow squash; watermelon; pistachios. 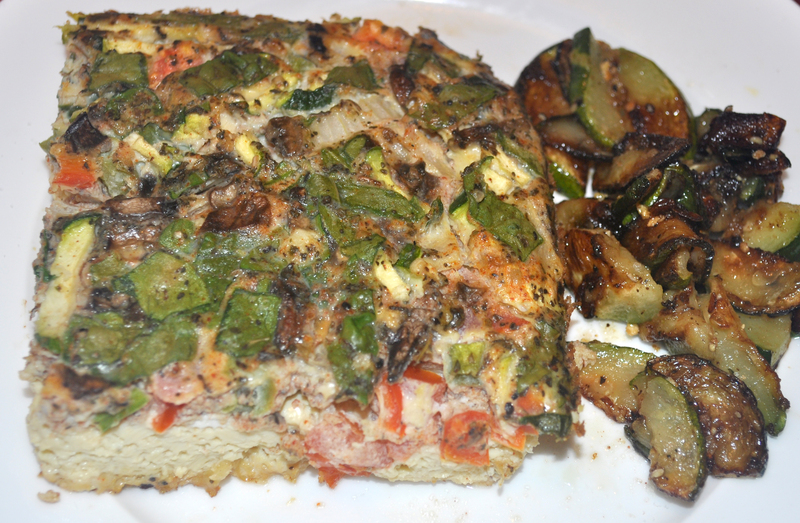 B: Egg bake; garlic zucchini; 1 small pickle. I was up really early and needed a snack between breakfast and lunch: banana. 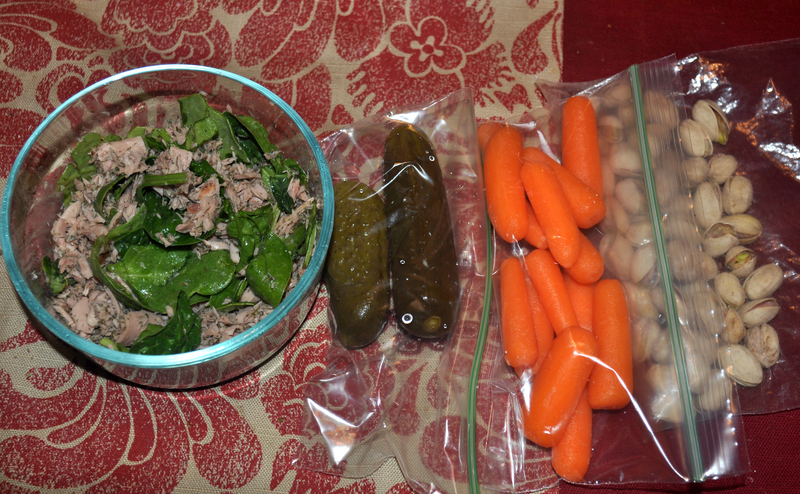 L: Tuna with spinach; 2 small pickles; carrots; pistachios; mix of fruit–cantaloupe, strawberries, pineapple. 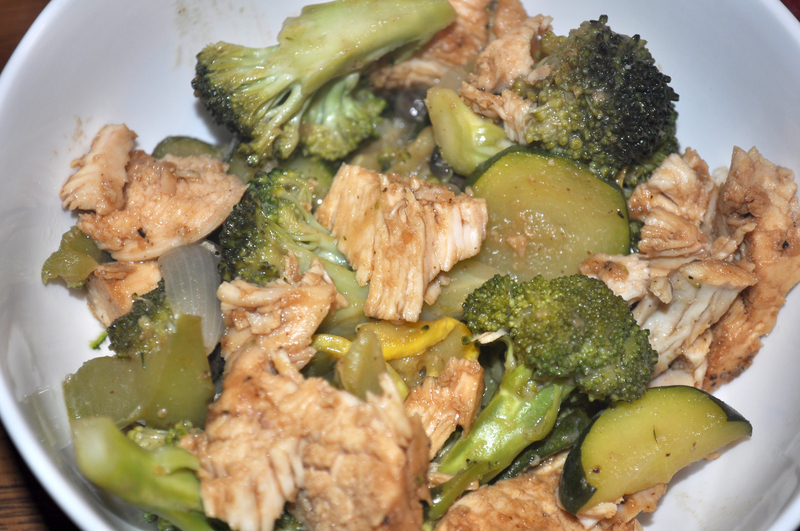 D: Chicken stir fry with broccoli, zucchini, onions, and mushrooms. I was out late that night, so I needed a snack: pistachios, shredded coconut. 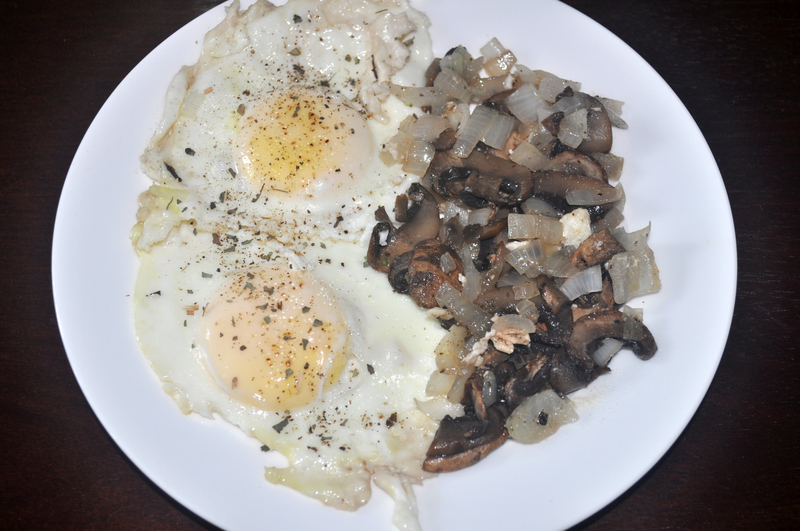 B: 2 eggs; mushrooms and onions. L: Compliant meal at Chipotle– carnitas (Apparently, this is their only compliant meat, and the fajita veggies aren’t compliant because they are cooked in soybean oil.) 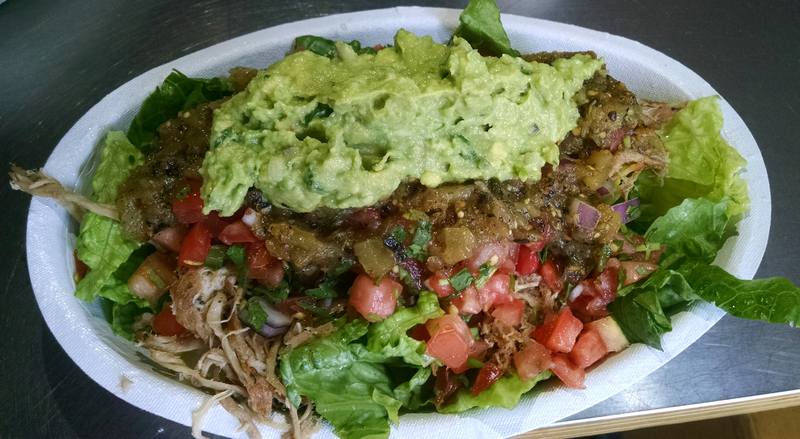 salad bowl: lettuce, carnitas, mild & medium salsa, and guacamole. 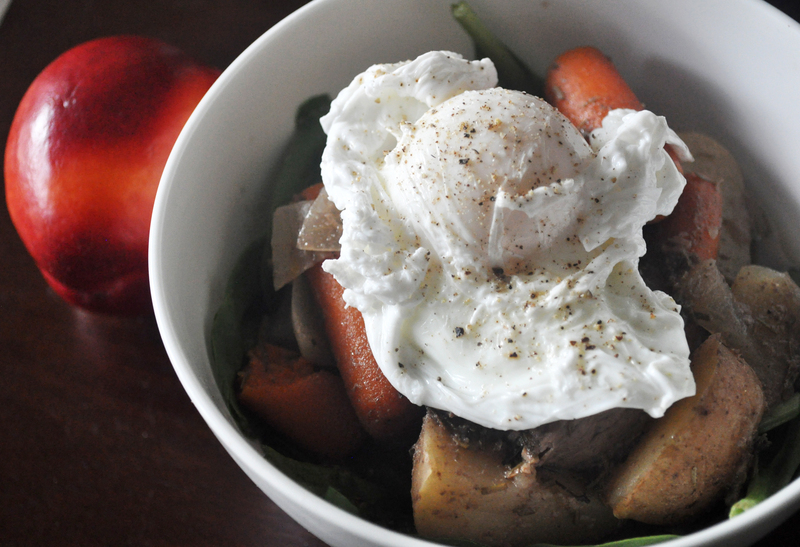 B: Breakfast remix– Leftover beef stew on bed of spinach with poached egg on top; nectarine. 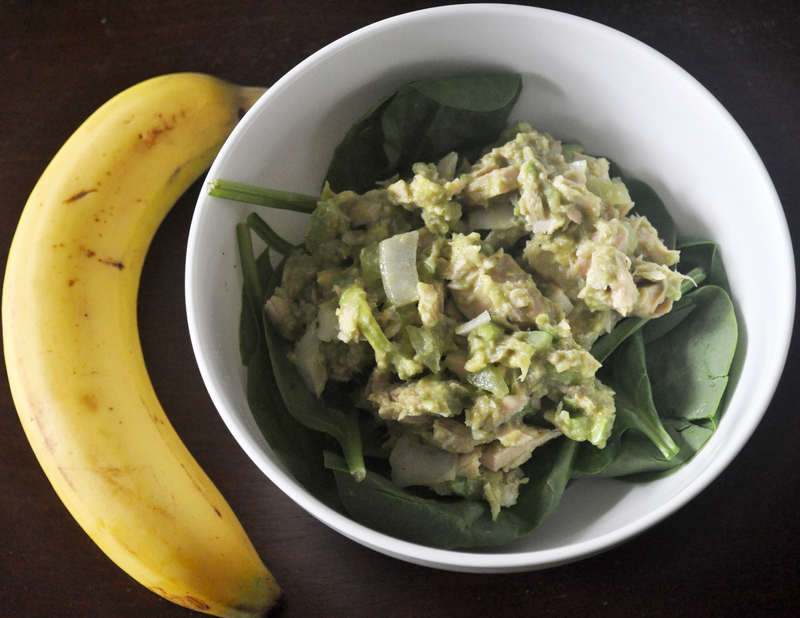 L: Tuna salad with avocado, celery, onion, and spinach; banana. 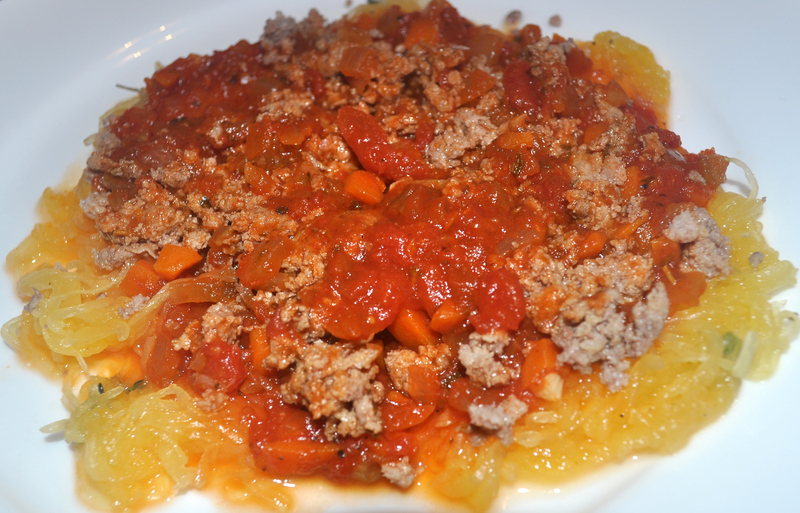 D: Spaghetti squash with ground turkey and homemade tomato sauce. 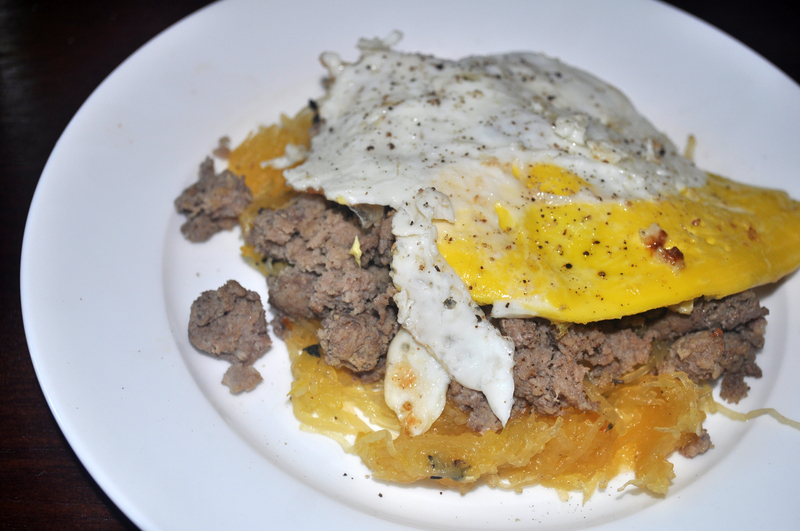 B: Leftover spaghetti squash, ground turkey, egg; 1/2 avocado; banana. I also had some cold press coffee (unsweetened) later, and I had lunch late so got a little hungry and had some shredded coconut. 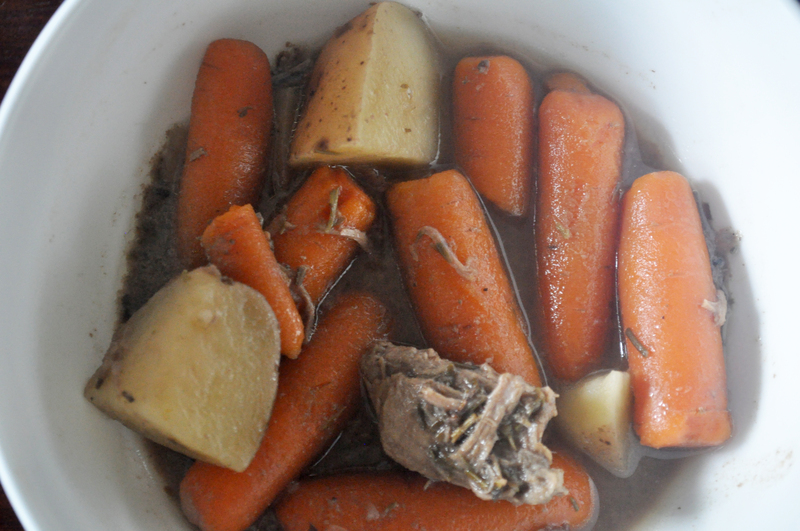 L: Leftover beef stew; pistachios. 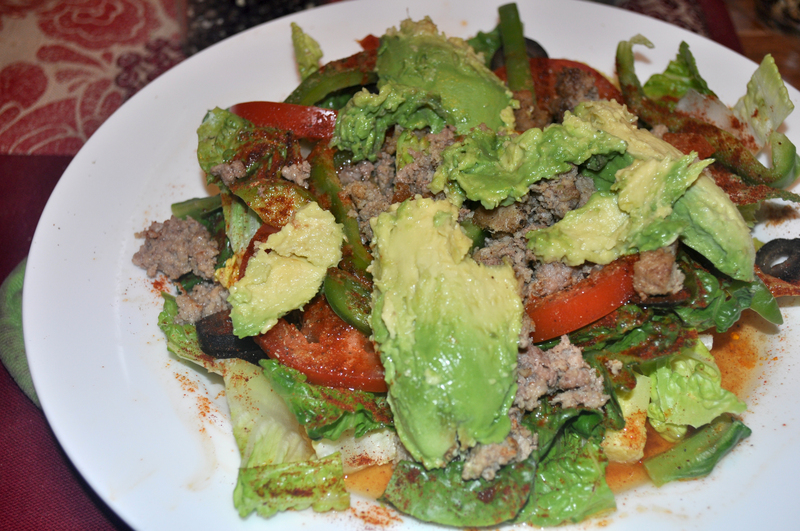 D: Taco Salad- romaine, ground turkey, tomato, green pepper, onion, black olives, avocado, homemade dressing (olive oil, white vinegar, lemon juice, spices). New recipes and healthy tips coming soon!!! 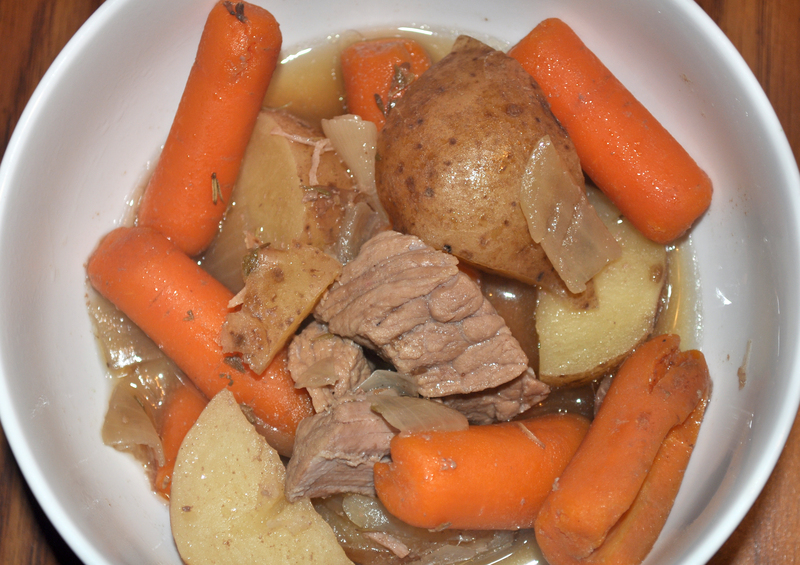 I am excited to share a recipe I’ve been wanting to share for a while and also one that I just tried today and loved! I am also excited to share some easy tips with you! Au revoir; check back soon, and leave a comment if you’re doing a Whole30!